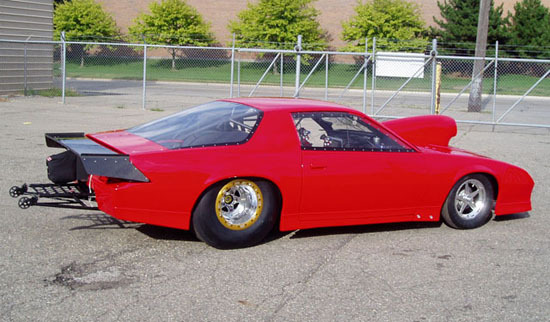 Detroit, MI -- When we last left you, our nitrous injected Super Street engine had just returned from Chris Holbrook's engine dyno. Along with it came several great dyno sheets and reams of data for us to review from our FAST XFI, MSD Ignition, and Racepak electronic systems. Now we were faced with a tear down to inspect our engine's internals and to also figure the best course of action for our oiling problem. We we're very pleased to find our engine components held up remarkably! On the flipside, we also found the only remedy to our erratic oil problem was going to be costly and time consuming. There was no choice but to design a unique lifter bushing that would require specialized block machining. As soon as our 3D design was complete, Trend Performance was enlisted to turn our bushing concept into reality. 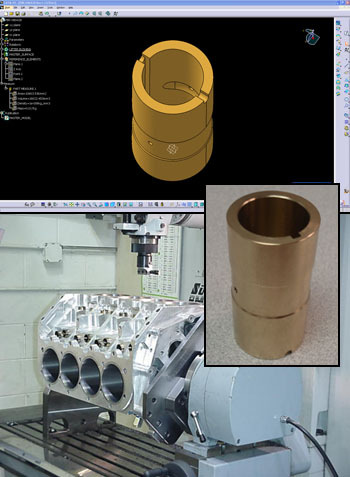 After doing excellent work on our re-sleeve several months earlier, Champion Performance was the obvious choice for the block machining portion of the program. We got straight on the phone and repeatedly harassed them until they agreed to take the job. The end result was as expected. As that was taking place, other changes were also taking place. Most notably, our intake manifold was airlifted back to Jeff Prock of Applied Nitrous Technology so that he could further refine the already powerful nitrous system to what he learned on the dyno. A little machine work here, some new valve springs there, and we were ready to velcro the engine together again. While I worked on that, Tim cinched up the few remaining details on the car in preparation for final setup. The engine was reassembled and bolted into the chassis. This wasn't the first time the engine had been in chassis, in fact, it's been in there several time before. But the one thing I will never understand is how things that easily fit before don't fit for a damn now. It just figures this would happen now as we're getting ready for on-track testing. We've learned from the mistakes of 'fix it later' and just put in the extra time upfront to get these things right. Now we can focus on getting the car working right on the track without the distraction of things that '…just aren't quite right'. And speaking of 'not quite right', we thoroughly enjoyed installing & setting up the suspension twice. As Tim and I were 'Setting Toe', Tim noticed a problem. While we were pushing the car back and forth across the shop, he swore the stupid thing was slowly turning itself around in a circle. We watched a little closer and he was right. Come to find out, the reference points I had used for the center of the front sub frame were wrong giving us a bogus centerline of car. So we stripped it all down and started over. They say, "That which does not kill you only serves to make you stronger." If that's the case, we are now 10-foot-tall and bullet proof. We're a pretty determined bunch over here at Pelech Bros. Racing and we don't easily give up. There are just a few more items to handle before we load up and head to a track. As soon as we have something new to report, we'll post an update right here on PelechBrosRacing.com, so hold tight! Copyright © 1999-2009 Pelech Bros. Racing, All Rights Reserved.